Web Architecture: Dr. Werner Vogels, CTO at Amazon, will teach us architecture best practices. Web architecture is the structuring of a website to achieve business goals. It focuses on the user and what the user needs. More specifically, the focus is on the technical, aesthetic and functional. Understanding how web architecture works is crucial for online business owners. Amazon is a company that needs little introduction. They are an eCommerce and cloud computing company. Most notable, Amazon is the largest Internet-based retailer in the world. They started as a book seller but have grown to sell consumer goods, digital media, electronic devices and more. 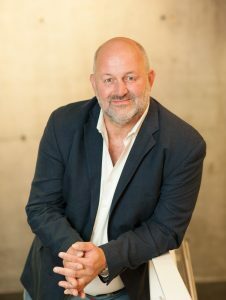 Dr. Werner Vogels is the Chief Technology Officer (CTO) at Amazon.com. He is responsible for Amazon’s technology vision. Furthermore, Dr. Vogels enhances Amazon’s innovation on behalf of all of its customers. While at Amazon, he gained vast experience with web architecture. Dr. Vogels will discuss effective procedures for online services as well as new AWS services. Before Amazon, Dr. Vogels was a researcher at Cornell University. There, he was a principal investigator in research projects. Dr. Vogels was also Research Engineer, VP of Technology and CTO in companies that transition academic technology into industry. Finally, Dr. Vogels has a Ph.D. from the Vrije Universiteit in Amsterdam. He has also written many articles for journals and conferences on distributed systems technologies for enterprise computing. Don’t miss this amazing AWS Summit! Also, don’t forget you can live stream the event too by clicking here!